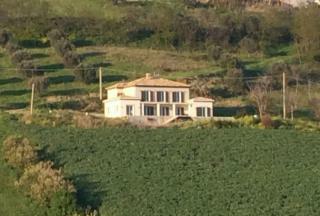 LUXURY, COUNTRY VILLA with SWIMMING POOL, VINEYARD, OLIVE GROVE and FANTASTIC VIEWS. The property BENEFITS from BALCONY, TERRACE and ANNEXE. It can be used as a FAMILY HOME but is also suitable for a B&B or SHORT TERM RENTALS, as the LOWER FLOOR can be INDEPENDENT from the REMAINING HOUSE.. RESTORED HISTORICAL PROPERTY with FLEXIBLE ACCOMMODATION and PERFECT for a HOLIDAY RENTAL BUSINESS. The house has TRADITIONAL FEATURES, ANNEX to be COMPLETED, TERRACE and BEAUTIFUL GROUNDS. The ADRIATIC RESORTS are a SHORT DRIVE away. A spacious COUNTRY HOUSE with FIVE BEDROOMS, TRADITIONAL FEATURES, SWIMMING POOL and THREE HECTARES of LAND, part of which is ELIGIBLE for BUILDING. LARGE VILLA with FIVE BEDROOMS that NEEDS COMPLETING. It provides the NEW OWNERS with a WONDERFUL OPPORTUNITY to CHOOSE FITTINGS and CREATE an EXCLUSIVE and PRESTIGIOUS HOME. The property is in a TRANQUIL POSITION with AMAZING VIEWS and TWO HECTARES of SURROUNDING LAND. 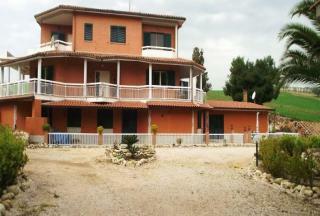 LARGE, SEVEN BEDROOM, MODERN VILLA, CLOSE to the RESORTS of the ADRIATIC. With a KITCHEN on EACH FLOOR, the property could be DIVIDED into THREE APARTMENTS providing an OPPORTUNITY for a RENTAL or B&B BUSINESS. 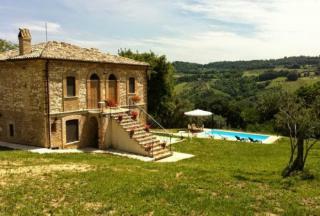 The villa comes with GARDEN, GARAGE and PANORAMIC VIEWS. DELIGHTFUL, COUNTRY HOUSE which has been SYMPATHETICALLY RESTORED to PRESERVE and HIGHLIGHT TRADITIONAL FEATURES. It is DIVIDED into THREE APARTMENTS and is in a STUNNING POSITION with AMAZING VIEWS. 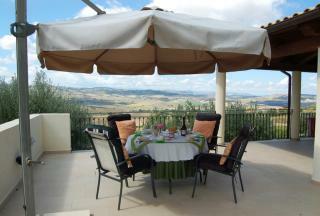 The property has a GARDEN and TERRACE and is only 2 KMS from the PRETTY VILLAGE of ABBATEGGIO. UNIQUE, FOUR BEDROOM, VILLA which has been DESIGNED to appreciate the surrounding PANORAMIC VIEWS. The property's STRUCTURE has been created from HIGH QUALITY MATERIALS which embrace ENERGY EFFICIENCY. INTERNALLY it will be left UNFINISHED to allow the buyer some PERSONALISATION. VIEWING ADVISED. 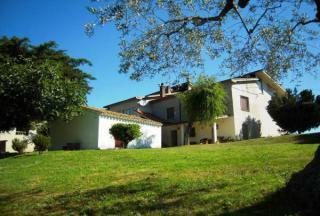 LARGE, FULLY RESTORED COUNTRY HOUSE with SWIMMING POOL. It has FIVE BEDROOMS and can sleep up to 9 people. The property is CURRENTLY RENTED out during the summer months as an INCOME SOURCE. It has to be viewed to understand its BEAUTY and STUNNING VIEWS. LARGE VILLA, with ANNEX, which is currently DIVIDED into TWO APARTMENTS. It has AUTHORISATION to OPERATE as a B&B and COMES with a GARDEN and FURNITURE. The property is in an ideal LOCATION for VISITING GUESTS as it is just a FEW MINUTES from the GOLDEN BEACHES and RESORTS of the ADRIATIC. BEAUTIFUL, THREE BEDROOM VILLA with ENCHANTING VIEWS of the SEA. This DELIGHTFUL PROPERTY has a PANORAMIC TERRACE for AL FRESCO LIVING and a PRETTY GARDEN with FRUIT TREES and MEDITERRANEAN PLANTS. ACCESS to the BEACH is only FIVE MINUTES AWAY. The VILLA is RESTORED and IMMEDIATELY HABITABLE. RECENTLY BUILT, FOUR BEDROOM VILLA which is IDEAL for SPORT'S LOVERS with its POOL, GYM, BASKETBALL FIELD and possible JOGGING TRACK. 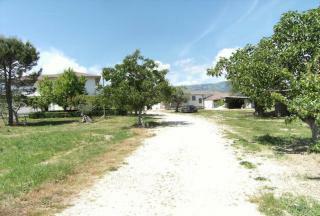 It is only 1 KM from the TOWN CENTRE and has a GARDEN cultivated with OLIVE and FRUIT TREES. There is a GARAGE and, If required, the PROPERTY can be EXTENDED. 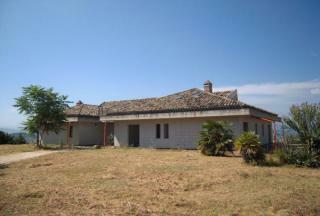 LARGE PROPERTY which COMPRISES approximately 65 HECTARES of LAND and TWO LARGE, STONE HOUSES for RESTORATION. It is LOCATED in a GOOD POSITION with LOVELY VIEWS. An INTERESTING PROJECT. This is a BEAUTIFULLY RECONSTRUCTED FARMHOUSE within its own plot of LAND. It is close to the pristine BEACHES of the ADRIATIC and has FANTASTIC VIEWS over vineyards to the spectacular MAIELLA MOUNTAINS. It would make a lovely FAMILY HOME or a RENTAL INVESTMENT. DETACHED HOUSE, DIVIDED into TWO APARTMENTS with PERMISSION to INCREASE LIVING SPACE in the ATTIC. 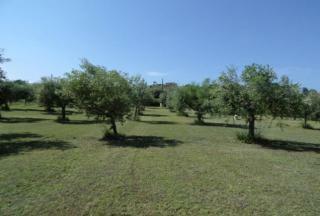 The property has LAND with OUTBUILDINGS, MATURE SHRUBS and OLIVE TREES. The VERADAH and BBQ are PERFECT for AL FRESCO LIVING. GOOD POTENTIAL for a RENTAL/B&B BUSINESS due to its PROXIMITY to the COAST. 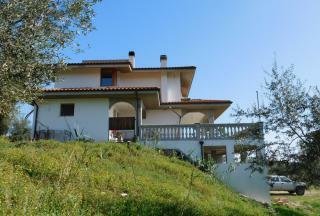 LARGE, FIVE BEDROOM, VILLA in a BEAUTIFUL POSITION, CLOSE to the COAST. It can be DIVIDED to ACCOMMODATE TWO or THREE APARTMENTS. The property is FINISHED to a HIGH STANDARD and BENEFITS from an ELEVATOR, GARAGE, GARDEN, BALCONIES and TERRACE. FABULOUS VIEWS. 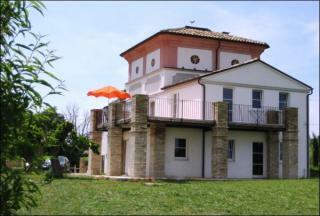 THREE BEDROOM, DETACHED VILLA just 1 km from the CENTRE of COLONNELLA, with all its FACILITIES. It comes with BALCONY, GARDEN and SEA VIEWS. 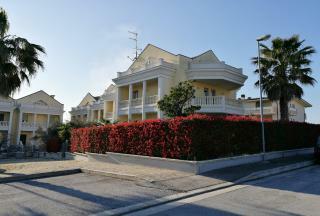 The property is only MINUTES from the lovely ADRIATIC BEACHES. 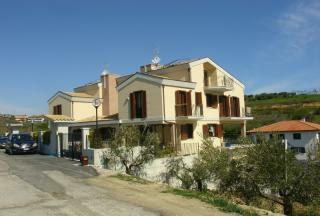 THREE BEDROOM VILLA located in the enchanting VILLAGE of POLLUTRI, just a FEW KILOMETRES from the SEA. The FIRST FLOOR needs COMPLETION, providing MORE BEDROOMS, if required. There is a GARDEN, 1 HECTARE of LAND, BALCONIES and PORCH, perfect for AL FRESCO LIVING! Fantastic VIEWS. 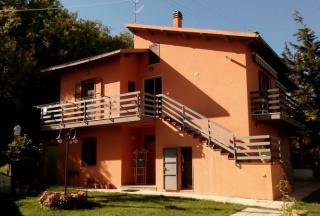 B&B ideally located MIDWAY between AIRPORT, SKI RESORTS and ADRIATIC COAST. It includes a FOUR BEDROOM VILLA and attractive STONE HOUSE with TWO BEDROOMS, used for GUEST ACCOMMODATION. 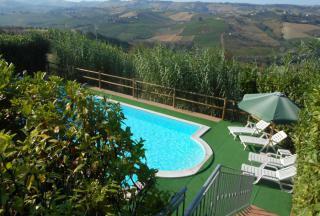 There is a SWIMMING POOL, COURTYARD and OLIVE GROVE. GOOD BUSINESS OPPORTUNITY. 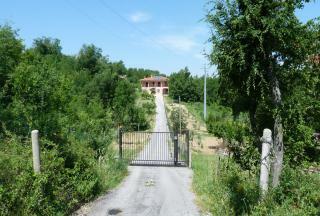 LARGE, COUNTRY HOUSE, CLOSE to the CITY of TERAMO. It has NEARLY been RESTORED and is DIVIDED into TWO APARTMENTS with a total of SEVEN BEDROOMS. Both properties have a GARAGE and there is a SURROUNDING COURTYARD and LAND. GOOD RENTAL POTENTIAL. FIVE BEDROOM, COUNTRY HOUSE which has been SYMPATHETICALLY RESTORED to maintain ORIGINAL FEATURES. In addition to the BEAUTIFUL INTERIOR, The property comes with a delightful GARDEN, SWIMMING POOL and PANORAMIC VIEWS. It is perfect for AL FRESCO LIVING. A TRUE PARADISE and VIEWINGS RECOMMENDED. TWO/THREE BEDROOM VILLA located in an EXCLUSIVE DEVELOPMENT on the EDGE of NERETO VILLAGE, close to all AMENITIES. The property has FLEXIBLE ACCOMMODATION and comes with GARDEN cultivated with TREES and MEDITERRANEAN PLANTS; BALCONIES with STUNNING VIEWS; SOLAR POWERED ENERGY; ELEVATOR and PARKING. 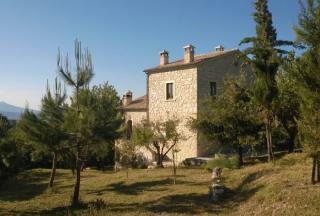 LARGE COUNTRY HOUSE just 1 KILOMETRE from the BEAUTIFUL TOWN of LORETO APRUTINO. It comes with THREE BEDROOMS, THREE BATHROOMS, GARAGES, BALCONIES, TERRACE and LAND. The property has all MODERN CONVENIENCES and FABULOUS VIEWS. BEAUTIFUL VILLA with AMAZING SEA VIEWS. It is in an IDEAL POSITION as it is CLOSE to both the LIVELY BEACH RESORT of VASTO MARINA and the MEDIEVAL TOWN of VASTO, with SHOPS, RESTAURANTS and HISTORIC SITES. 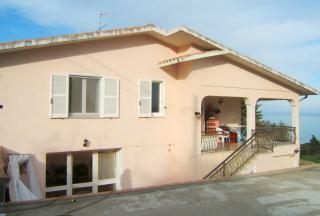 The property has TWO BEDROOMS, LOVELY TERRACES and GARDEN. Without doubt - A RARE GEM! 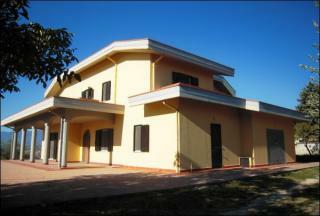 DELIGHTFUL MODERN VILLA within 300 METRES of the WHITE SANDY BEACH of GIULIANOVA, close to all ATTRACTIONS. It has THREE BEDROOMS and GARDEN. Spacious FAMILY VILLA with INDEPENDENT SELF CONTAINED APARTMENT. There is also PLANNING APPROVAL for FURTHER DWELLINGS. Located MINUTES from the beautiful VILLAGE of CIVITAQUANA, the villa comes with BALCONIES, TERRACES and LAND. Perfect combination of LUXURY LIVING with LOW RUNNING COSTS. BEAUTIFUL, TRADITIONAL VILLA which is currently operated as a SUCCESSFUL, RENTAL BUSINESS. The property has been RESTORED to a HIGH STANDARD and has 4 BEDROOMS, 3 BATHROOMS, 2 LOUNGES and SWIMMING POOL. A PERFECT PLACE to RELAX and UNWIND when not EXPLORING the BEACH RESORTS and LOCAL VILLAGES. LARGE, BRIGHT, DETACHED HOUSE with FOUR BEDROOMS. It has a GARAGE, BALCONIES and GARDEN. The property is just 600 METRES from the TOWN CENTRE and is a lovely FAMILY HOME. With TWO ENTRANCES, however, it could be DIVIDED into APARTMENTS. 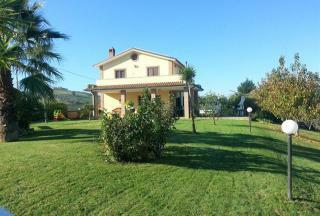 COUNTRY VILLA with THREE BEDROOMS located in its own BEAUTIFUL GARDENS. The property only needs COSMETIC WORK and there is enough space to create MORE BEDROOMS. Potential for a B&B. 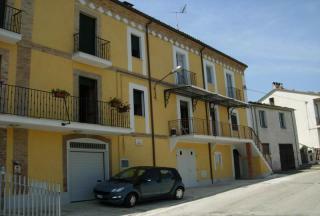 TERRACED HOUSE which is superbly located on the ABRUZZO/LE MARCHE BORDER. It is currently DIVIDED into TWO APARTMENTS providing an OPPORTUNITY for RENTAL. It has a COVERED TERRACE, SMALL GARDEN, GARAGE and STUNNING VIEWS. Just a few MINUTES to the ADRIATIC COAST. 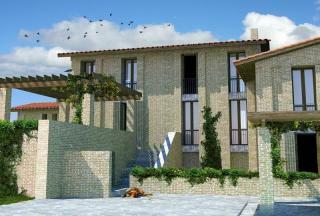 DELIGTHFUL VILLA, DIVIDED into TWO APARTMENTS. It is located in a BEAUTIFUL AREA with LOVELY VIEWS. Each APARTMENT has TWO BEDROOMS. The property BENEFITS from BALCONY, GARAGE and GARDEN. BEAUTIFUL VILLA which is LOCATED in a BEAUTIFUL AREA! 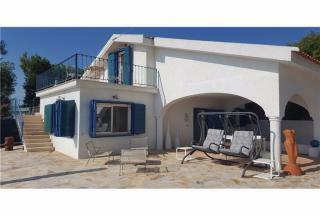 The property has STUNNING VIEWS over the RESORT of ROSETO DEGLI ABRUZZI and the crystal BLUE SEAS of the ADRIATIC. It is currently DIVIDED into APARTMENTS and boasts TERRACES, DOUBLE GARAGE and LARGE GARDEN. GOOD INVESTMENT POTENTIAL. LARGE, FOUR BEDROOM VILLA in the BEACHSIDE RESORT of PINETO, just MINUTES from the ADRIATIC SEA, RESTAURANTS, BARS and SHOPS. The property comes with GARAGE, BALCONIES and GARDEN and there is the possibility to PURCHASE the FURNITURE for an IMMEDIATELY HABITABLE, FAMILY HOME. 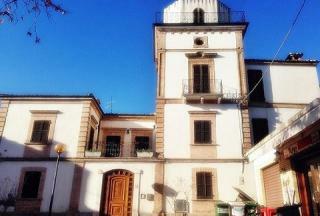 BEAUTIFUL, FIVE BEDROOM, HISTORICAL HOUSE in the CENTRE of CASACANDITELLA, just a STROLL to FOOD SHOPS. It has been FINELY RESTORED and comes with GARAGE, GARDEN, BALCONY and PANORAMIC SEA and MOUNTAIN VIEWS. The SALE includes FURNITURE. A real GEM! 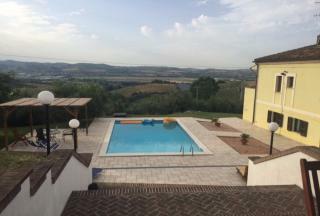 FULLY RESTORED COUNTRY HOUSE with SWIMMING POOL. 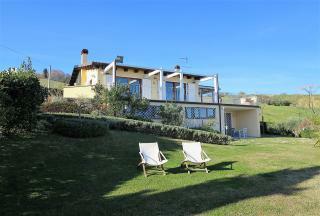 It has FIVE BEDROOMS, GARDEN, LAND and magnificent PANORAMIC VIEWS of MOUNTAINS, VALLEY and SEA. The house has been RESTORED using HISTORICAL MATERIALS from the area, such as STONE, BRICKS, ANTIQUE TILES, WROUGHT IRON and BRASS. THREE BEDROOM COUNTRY HOUSE with GARDEN, BALCONY and stunning MOUNTAIN VIEWS. This recently RESTORED, STONE property is within WALKING DISTANCE of the MEDIEVAL TOWN of CASTIGLIONE MESSER RAIMONDO which has a choice of SHOPS, RESTAURANTS and BARS. 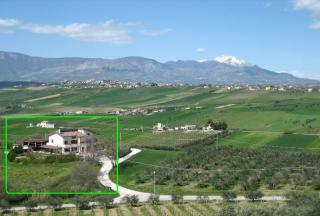 A NEWLY BUILT VILLA with FABULOUS VIEWS of the GRAN SASSO MOUNTAINS. It comes with FOUR BEDROOMS, THREE BATHROOMS, GARAGE and over an ACRE of LAND. 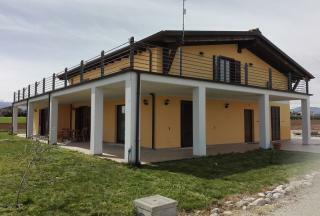 It is a WONDERFUL PROPERTY in a PANORAMIC POSITION. 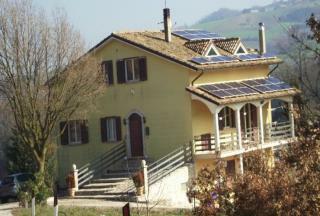 ESTABLISHED B&B and SELF-CATERING BUSINESS located in BEAUTIFUL COUNTRYSIDE, near the TOWN of ROSCIANO. 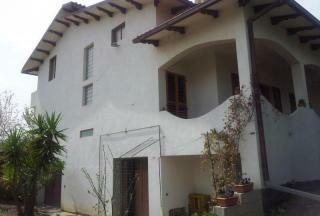 It is a DETACHED property DIVIDED into TWO APARTMENTS although the ACCOMMODATION is FLEXIBLE. 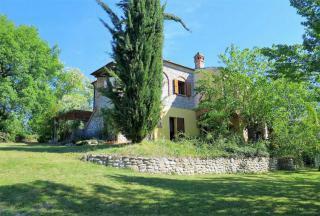 The house has 1 HECTARE of LAND with MOUNTAIN VIEWS, VINEYARDS, OLIVE and FRUIT TREES. 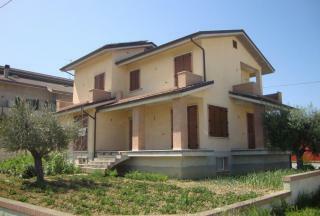 LARGE DETACHED HOUSE, with PANORAMIC VIEWS over the BEAUTIFUL COUNTRYSIDE of TERAMO. The property is DIVIDED into TWO UNITS with SEVEN BEDROOMS, in total, and comes with LAND. There are TERRACES, GARAGES and OUTBUILDINGS. 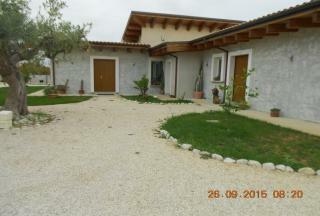 POTENTIAL for use as a BED & BREAKFAST, HOLIDAY RENTAL or AGRITURISMO. 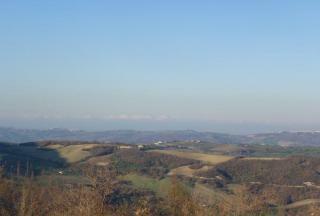 BEAUTIFUL, THREE BEDROOM, COUNTRY HOUSE with STUNNING VIEWS of the GRAN SASSO and ADRIATIC SEA. It BENEFITS from a MANICURED GARDEN, LARGE TERRACE and COVERED PARKING. 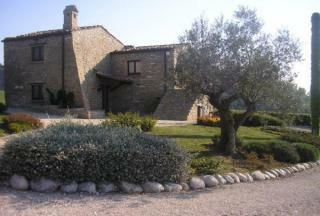 A FARMHOUSE with six hectares of LAND, partly cultivated with OLIVE TREES. It has FIVE BEDROOMS and has the potential for a HOSPITALITY related BUSINESS. 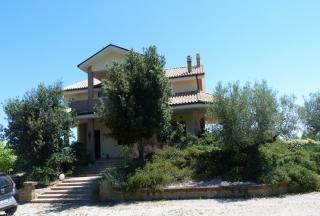 RECENTLY BUILT, VILLA located between the SEA and MOUNTAINS near the town of CEPAGATTI. It has FOUR BEDROOMS, PANORAMIC TERRACE, FENCED GARDEN and LOVELY VIEWS. The TOP FLOOR has the POTENTIAL to CONVERT into a separate APARTMENT.